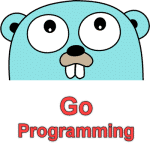 Float64frombits() function is used to find the floating point number corresponding the IEEE 754 binary representation of the given input (x – parameter) in Go language. The standard math package of Go programming language has Float64frombits() function. Note: uint64 is the set of all unsigned 64-bit integers. Within the range of 0 to 18446744073709551615 and float64 is a data type in Go language which has IEEE-754 64-bit floating-point numbers. x – Where x is any Valid uint64 Input value (Range are 0 to 18446744073709551615). This parameter is required. If the x parameter is not a number (numeric value) Float64frombits() function returns an error . Float64frombits() function will return the floating point number corresponding the IEEE 754 binary representation of the given input(x – parameter).